What Exactly is Mannan? - YeastInfection.Org by Eric Bakker N.D.
You are here: Home / Yeast Infection Causes / What Exactly is Mannan? August 24, 2013 by Eric Bakker N.D.
One of the major problems which has faced clinicians and patients alike when trying to rid a body of excessive Candida albicans is its stubborn resistance to treatment. The overgrowth has long been noted for its persistence which is unlike that of most other microflora – yet the scientific community have had a good idea why this is so – and the science behind it has been recognized, if not truly understood, for decades. It is accepted that under normal circumstances a certain amount of Candida is essential for optimal digestive function but when the organism overgrows it ceases being beneficial to the human body and instead upgrades to that of a pathogenic organism. Yet most clinicians and scientists are aware that when this happens, Candida albicans in particular, can be the very devil to treat. Is Onion Good For Yeast Infection? Yet although there are many theories as to why this occurs, the specifics are not available to us. As I have already discussed, biofilms, the environment in which microflora often live, can and do provide the community within protection against not only antibiotic attack but also from the immune system. Yet the issue of biofilms is not exclusive to Candida, the film protects all inhabitants be they bacteria or fungi. So what are the other reasons for an overgrowth of microflora being so persistent? And, when it comes to Candida albicans, why is there one specific issue, which, for some reason, gets very little mention today. It has been known for several decades that the cell walls of Candida albicans contain a glycoprotein called Mannan. And, although there was a spectacular amount of scientific interest in this subject back in the 1980s and 90s, the research comes to a strange and abrupt halt when reaching the new millennium. Yet the investigations into Candida Mannan, and there were dozens of research studies, highlight one of the possible immunological problems it can cause and are highly significant. This is particularly so, when it is generally accepted that not only is an overgrowth of Candida albicans renown for setting up infections but possibly more so for not only resisting many contemporary treatments but also existing in conjunction with a depleted immune response in the patient. In short, where Candida overgrowth exists, the patients will often also have an immune response which is working at less than optimum capacity. The many scientific papers which investigated this issue back in the 1980s and 90s, looked at the construction of the cell of Candida albicans and of the mannan element in particular. It was discovered that mannan actually has the ability to suppress the immune system and so prevent it from attacking the Candida and killing it off. A splendid survival tactic indeed. Yet there are many recent scientific papers investigating candida and its corresponding existence with depleted immune response and suppression but surprisingly few are now looking mannan as a probable cause and this is despite the fact that it is supported by the strongest and most significant scientific evidence. 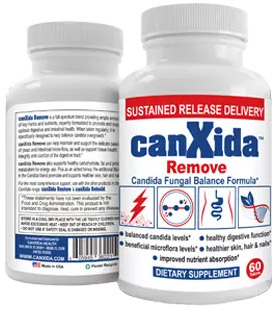 There can be no doubt that depleted or suppressed immune response in respect of Candida is highly complex, yet what has been shown is that mannen is not only part of the celluar construction of Candida but also that fragments of this compound are released into the body. This means that the organism likely has a defense within its own walls in addition to sending out what can be interpreted as ‘scouts’ to disable the enemy before it ever has chance to attack. How Candida mannan does this is still open to some debate, however it is thought to neutralize T-lymphocytes which are cells actively involved in the immune response system. This would result in the patient having a depleted cellular immune response and not only prevent the Candida itself being killed off, but will also result in leaving the individual open to more infections. Because Candida has always been considered an ‘opportunistic’ organism, then this leaves the door wide open for the pathogen to cause systemic disease. Indeed it may be proven some time in the future that mannan is exactly why Candida is considered to be the ‘opportunistic’ organism that it is today. It can now be seen why it is very important to understand what feeds Candida and C. albicans in particular, because, for now at least, this is one of the primary ways in which Candida numbers can be reduced in the human body. Without attacking the Candida at source, for instance by only supporting the immune system or by treating infections resulting from systemic Candida overgrowth, the primary source continues to expand. This leaves the patient’s body in a continual state of defense rather than attack, and, in this particular case it would seem that it is a defensive position it simply cannot win. While C. albicans continues to thrive, it is releasing not only toxins which can damage the intestinal wall and become systemic, but it is also damaging the immune response by releasing mannan fragments which can travel throughout the body and disable the immune system. The defense of the pathogen itself also becomes increasingly stronger as its numbers grow and the amount of mannan within the Candida community strengthens correspondingly. The amount of research available regarding mannan is, surprisingly, vast – even though much of it is not recent. But the suggestions are consistently made that there is no doubt mannan causes the human body not only to deplete its immune defenses but correspondingly strengthens the defense of the Candida cell itself. It goes on to investigate not only mannan antigens but also anti mannan antibodies relative to diagnosis in critically ill patients. Is Listerine Good For Yeast Infection? It is clear that there is much work to be done on not only Candida mannan in respect of not only seriously ill patients but also those with disease which is of a more chronic and systemic nature.